We join the Puget Sound aviation community in mourning the loss of a leader and mentor. 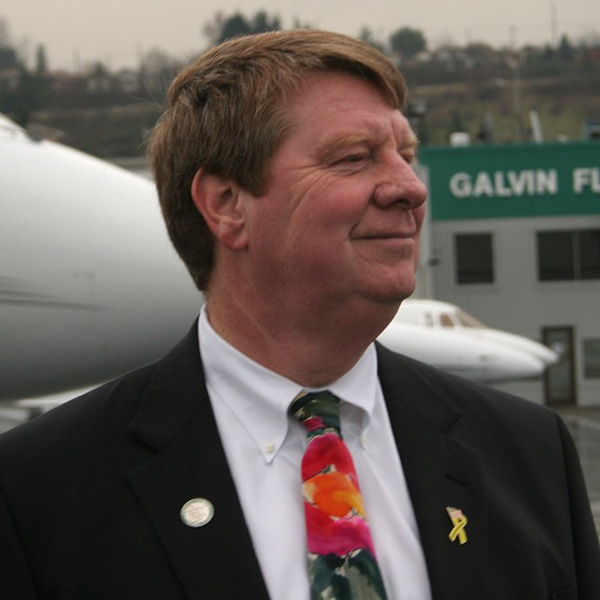 Peter Anderson, former president of Galvin Flying Services and interim vice chair of the King County Airport Roundtable, passed away on January 27. Peter was a true champion of education and ensuring access to aviation careers for students in King County, especially students of color and those from economically disadvantaged backgrounds. He was a key player in the founding of Raisbeck Aviation High School which prepares students for careers in the field. When Raisbeck students toured the airport, he made sure that they had a chance to visit Galvin and experience the flight simulators, which was always a hit. Peter was also proud of the Career and Internship Fair that we held at King County International Airport last year, and adamant that it continue into the future. His leadership and advocacy helped keep our region on the leading edge of aviation. Our condolences to Peter’s family, friends, his colleagues at Galvin, and all those whose lives he touched. He will be missed. This information comes from Galvin Flying Services: the memorial service for Peter Anderson is set for Saturday, March 2 at 4 p.m. in the theater at the Museum of Flight. A reception in the Personal Courage Wing will follow. Donations in Peter’s memory can be made to the Museum of Flight or the Peter and Sarah Anderson Foundation, in care of Raisbeck Aviation High School. January 29, 2019 in Airport News.